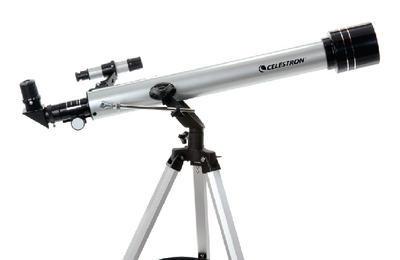 An ideal combination of quality, value, features, and power, this telescope is well-equipped for both celestial and terrestial viewing. Optical performance is provided from a 3X Barlow lens, tripling the magnifying power of each eyepiece. Easy to assemble, the unit comes with pre-assembled aluminum tripod and accesssory tray. Telescope includes a 5 x 24 finderscope, and “The Sky” astronomy software.